Block9 are a London based organisation that create ground breaking, multi-disciplinary artworks and installations. 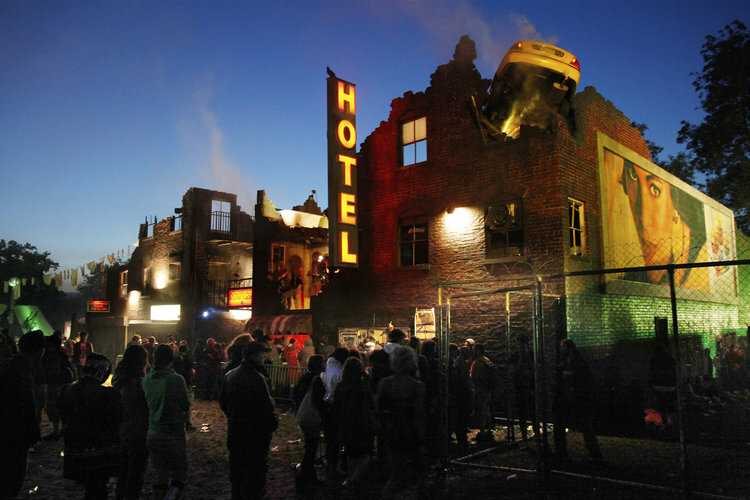 Much of our its explores the relationship between art and music through the creation of epic but temporary immersive structures and environments and it has collaborated with Penny Woolcock, David Rosenberg, Gorillaz and Banksy and is regularly commissioned to create installations at Glastonbury Festival and the Roundhouse. Our support is for a period of research and development which will allow Bloc9 to take the role of Directors of a work for the first time, collaborating with David Rosenburg as an Associate Director alongside their regular team.